Providing individuals with opportunities to excel is important to Infinity Law Group. The sponsoring of the 2016 3rd Annual Asian Heritage Law School Scholarship is at the heart of this belief. As a result, we’re happy to announce Keren Salim as our 2016 award recipient. She has demonstrated the ability to work hard in the pursuit of legal education. Keren Salim is a South Asian Muslim American from North Carolina. Keren Salim attended Salem College from 2010 through 2014 and earned her Bachelor of Arts degree. For the past two years she completed a fellowship in North Carolina, traveling across the state engaging with nonprofit community organizations working on systemic issues in the following focus areas: social justice and equity, community economic development, public education, environment, and democracy/ civic engagement. She plans to continue her education at Northeastern University School of Law in Boston, Massachusetts. 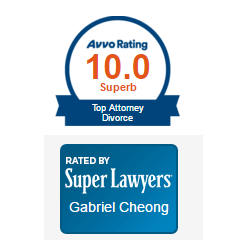 Infinity Law Group LLC along with divorce attorney Gabriel Cheong support individuals looking to further their education in this highly demanding industry. The Asian Heritage Law School Scholarship aims to support students with an Asian heritage. It provides a $1,000 scholarship every fall semester to those who pursue a legal degree. The goal of the scholarship to encourage more Asian Americans to pursue a degree in this area. The scholarship is available to students who are attending or planning to attend law school. Individuals must be a U.S. citizen or otherwise allowed to work in the country and must be 1L, 2L, or 3L students in the fall of the application year. They must have an undergraduate cumulative minimum 3.0 GPA and must have at least one parent of Asian ancestry.